Do you feel like you are drowning in alphabet soup? 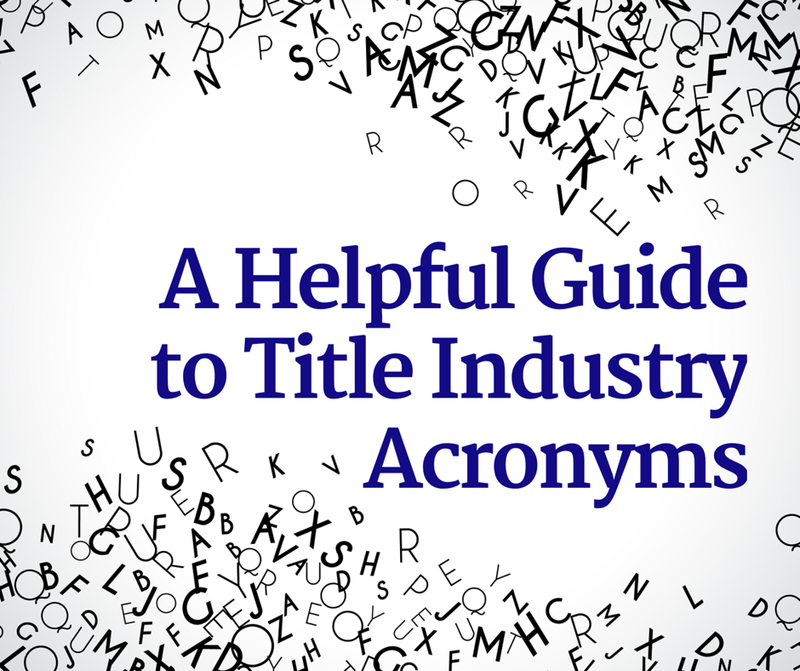 Acronyms have become common-place in the title insurance industry. In fact, acronyms have come so far that there are acronyms of acronyms! One of the newest is TRID, an acronym for TILA-RESPA Integrated Disclosure Rule. Some acronyms are part of an industry group or association, such as ALTA, NAHB, DOI, or DFR; sometimes an acronym may describe certain standards. There are so many acronyms that it can be confusing and certainly overwhelming. The table below contains some of the industry’s most commonly used acronyms and their meanings.